New photos shared by Chongdiantou (via Mac Otakara) show what is claimed to be an engineering prototype of the actual U.S. version of the charger, although their legitimacy cannot be confirmed. 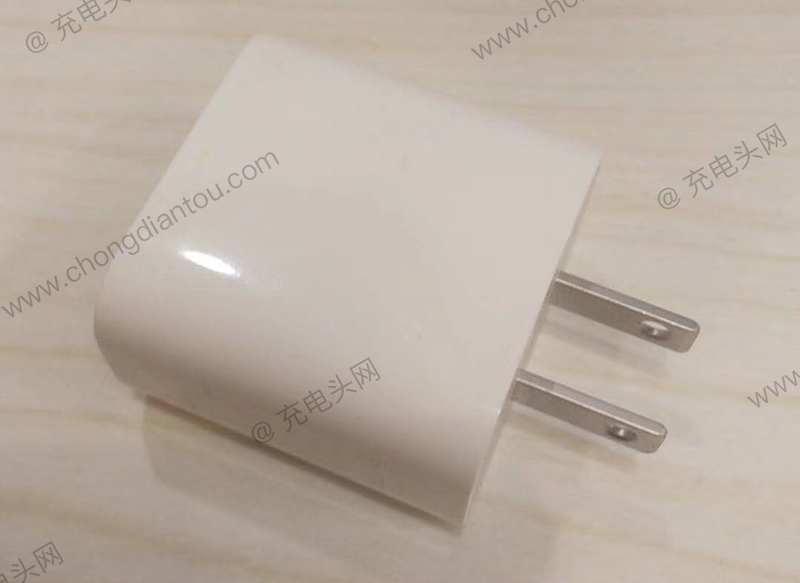 The design of the charger is generally in line with previous renderings, featuring a compact body in the style of Apple's 5-watt charger that has always been included in the box with iPhones. The design otherwise simply includes a pair of prongs on one side and a USB-C port on the other end. The charger does, however, appear somewhat fatter than depicted in the original leaked rendering. Text on the charger is somewhat different from Apple's usual markings, although this may be due to its prototype nature. The text lists the charger with a model number of A1720, in line with Apple's numbering scheme, and it confirms the charger offers output up to 5V at 3A (15W) or 9V at 2A (18W). Apple is rumored to be including the more powerful charger with its new iPhones coming later this year, but it would make sense to also include it with upcoming iPad models, which have traditionally included 10–12W adapters. I expect a full length video narrated by Jony Ive describing the design of this new plug. OMG! OMG! O.M.G.!. It's pictures of a charger!!! Look at it!!!. So beautiful!!!!! Only Apple could do this!!!!! /takes out loan to purchase more exclamation points. Thomas, post: 26206238, member: 1021539"]I'd be more interested in the other side of the cable, i.e. when Apple moves the iPhone to USB-C.
After declaring USB-C as the "one and only" and holy grail with the MBP line they should stick to that. They won’t do that. USB-C is worse than lightning in every way for use in iPhones. It’s fatter. It doesn’t hold as securely. It also offers no technical benefits, since iPhone will never make use of any additional usb-c features. 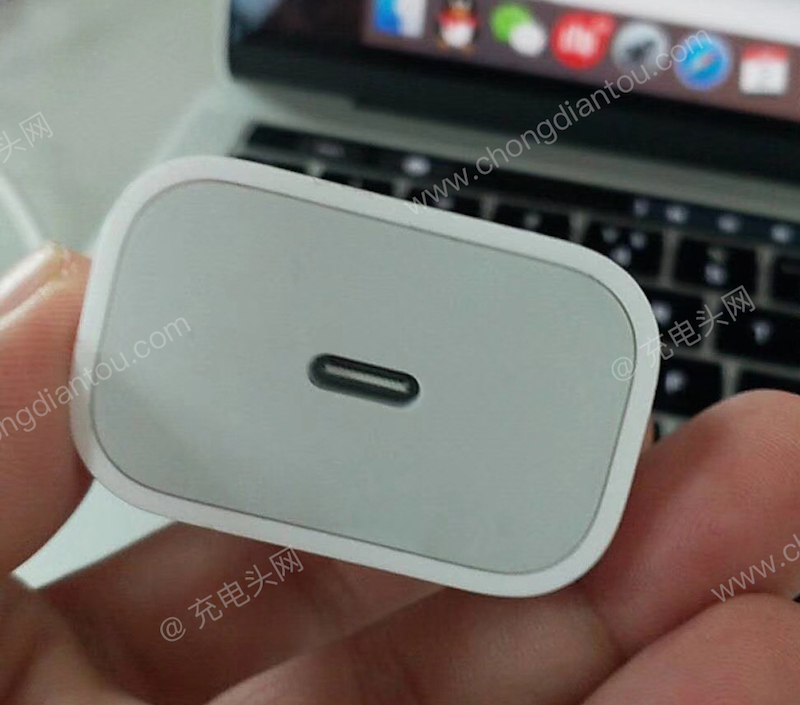 The lightning port will likely go away in a few years, but nothing will replace it. I'd be more interested in the other side of the cable, i.e. when Apple moves the iPhone to USB-C.
Apple & everyone else shouldn't include a charger with any mobile product. It's a waste. Let people choose what charger they want & can buy separately, if required. I think this is what has been lost in translation all along. 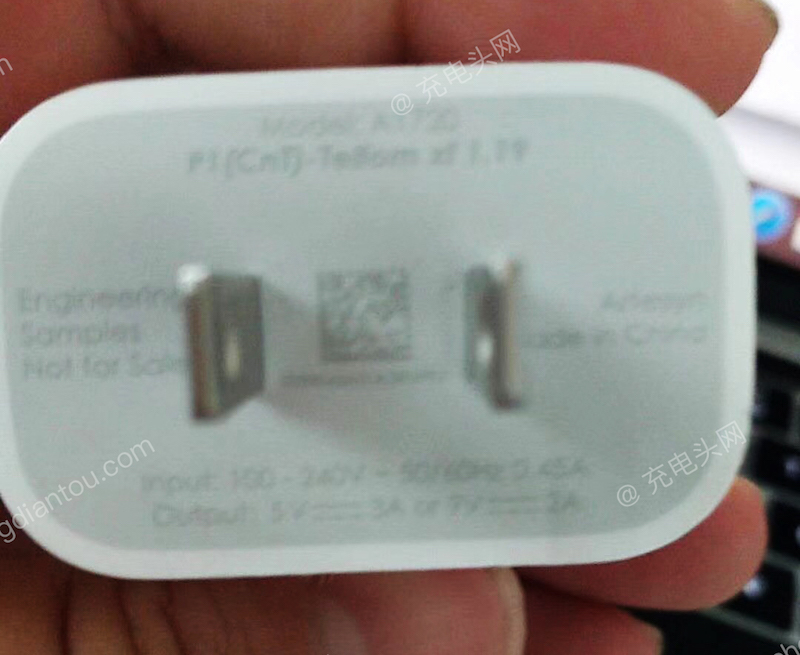 It's not that future iPhones will have a USB-C port but the other end of the cable that goes in the socket. Nice to have, but wireless is such a better way to charge these devices. I see this a niche patch until rapid wireless charging is more common because plugging a phone into a wall is going away soon. Why is wireless better? It's less efficient and harder to use portably. Other than having a charging pad next to your bed, wired is better in nearly all cases. Without the lightning port, how would Apple make money off the lucrative dongle market. USB-C would allow anyone to create price competitive and feature rich options, something Apple will not compete in. Anyone thinking the lightening port is something special and does not have any competing variants is high off the Apple marketing smoke. What would Apple do without selling dongles to its users, after removing useful ports that people actually need and use. Get rid of that HDMI port, solution we have Apple TV, guess what it connects to a TV via HDMI. Apple innovation one step forward, two steps sideways and backward. Must be the new Apple squaredance mission statement. You haven’t given one reason usb-c would be an improvement other than competition. As a user, why would I want a fatter port that doesn’t hold the cable as securely? It doesn’t power the phone any better. It doesn’t allow me to do anything differently with the phone. I’d have to buy all new cables or dongles, and they’d have a very short useful lifespan since it’s obvious that a couple years from now iPhones will have NO physical ports. Including a new charger that's suitable for the capacity of the newer phones instead of continuing to include the old dinky 5W charger that was designed for the tiny iPhone 4 battery, while calling it a "fast charger" when actually it's just a normal charger, then saying that they're going to include it free in the box, even though it probably only costs $5 more to manufacture — will justify the price of the next $1300 iPhone.